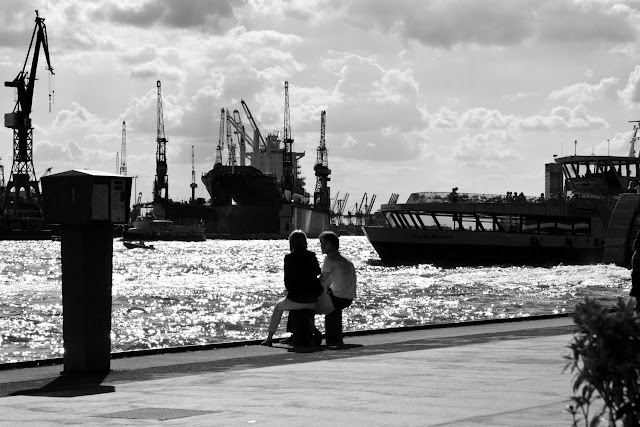 Hamburg, harbour, Mai 2012. Seen from the location of Rickmer Rickmers. The busy water traffic contrasts the couple on the pier.